I am currently on a bean bag kick! Here are the bean bags I made! Students practiced their skill and then took turns throwing the bags. 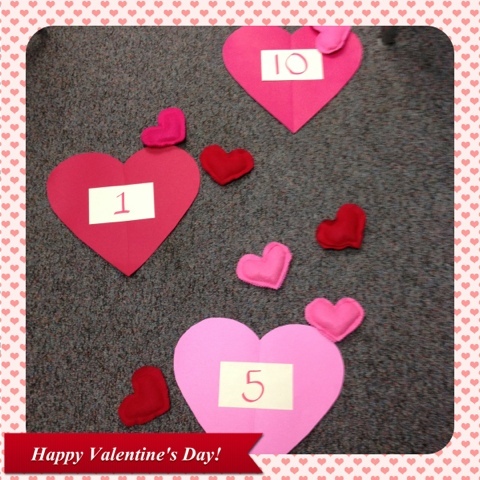 I want to make more heart targets with words instead of numbers. Fun!! What are you doing today to celebrate?